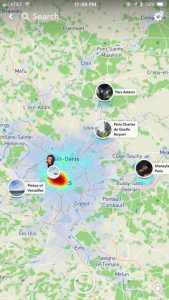 As we’re sure you’ve probably seen or read about on the internet at this point, Snapchat recently released a new update that also included a new feature: Snap Maps. The new feature allows you to find your friends, explore the world, and plan an outing or trip on a map featuring caricatures of yourself and friends called Bitmoji. The internet and media have been quick to critique Snapchat, touting the new feature as “dangerous” and “worrying.” While ensuring your privacy is protected is an important responsibility, some of the reports have just been flat out wrong. We’re here to set the record straight and let you decide for yourself. 1. The feature is opt-in. Opt-in means no one is automatically sharing their location with the app. The feature is accessed by pinching to zoom out. Upon accessing the feature for the first time Snapchat will prompt you asking if you would like to share your location. You have the option of not sharing your location at all or sharing your location in order to view the map of your friends. 2. You can ‘ghost’ yourself. ‘Ghosting’ yourself essentially means keeping your location private. It allows the app to use your location in order to provide you with the location of other friends, but does not share your location with anyone. You do not appear on the map. ‘Ghost mode’ once toggled on remains on until switched back off. 3. You can choose which friends see your location. If you want to take advantage of the new feature while maintaining some of your privacy you can also choose to share your location with only specific friends. This allows you to take advantage of the feature to see which of your friends are nearby or view snaps from popular locations and events around the world, while not sharing your location with your entire friend’s list. 4. Your location is only shared with your friends. 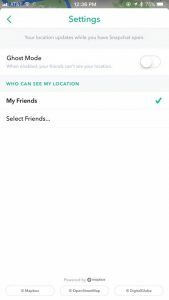 While Facebook posts can often by seen by strangers (public posts) or friends of friends (tagged posts), Snap Maps only allows your friends to see your location, if you have opted-in. 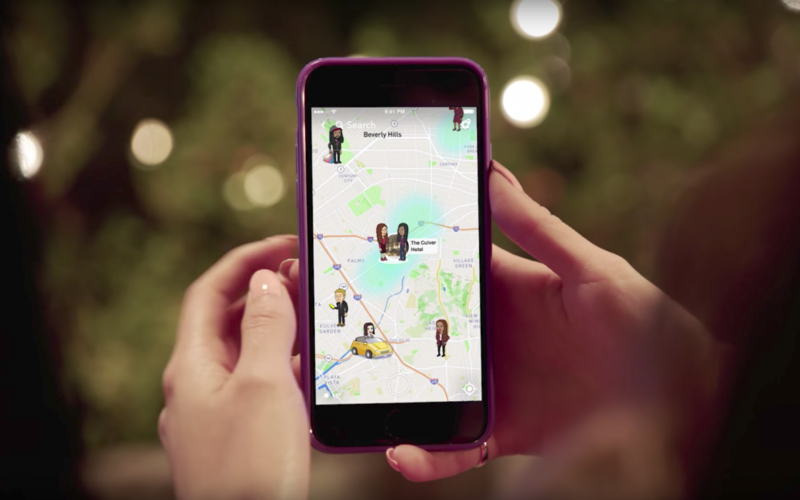 Many media stories have falsely reported that Snap Maps is viewable by everyone. This is misleading; while it is viewable to every one of your friends the feature is not viewable publicly. 5. The feature showcases hot spots around town and throughout the world. The feature curates snaps that have been posted to the ‘our story’ feature to reveal popular events and locations. Is Journey in town for a concert? A heat map will appear above the venue, giving you a glimpse of what’s happening. Scroll across the world to the Eiffel Tower and take a look at history through the eyes of others. This is one of the coolest aspects of the new feature! It allows you to discover events that are happening near you, find nearby friends who might be interested, and plan an adventure. What are you thoughts on the new Snap Map feature? We’d love to hear your feedback. Have you opted into the feature?